Behold the common family photo album. An inch or two thick, usually with an unassuming or nondescript cover, and often out-of-sight / out-of-mind. Open such an album, though, and true magic happens. C’mon, admit it. Its cool to look at all that old stuff, even if only once in a while. Pull an old family photo album out the next time you have family and friends over and you’ll see what I mean. People and places are reborn as memories come flooding back. Curiosity and amusement pervade as one marvels at—or chuckles over—once-popular styles of clothes and hair and swimsuits (see pix below) and cars and hats and even “elegant” (modern translation: goofy and atrocious) wallpaper. One of my family photo albums: Me, the dweeb on the left, holding my sweet innocent daughter, c.1993. Same “sweet, innocent” daughter in the pix on the right-hand side (short hair / sardonic smile / on the left), along with her sister and the touching “Eat Me!” cake. Good times, good times. 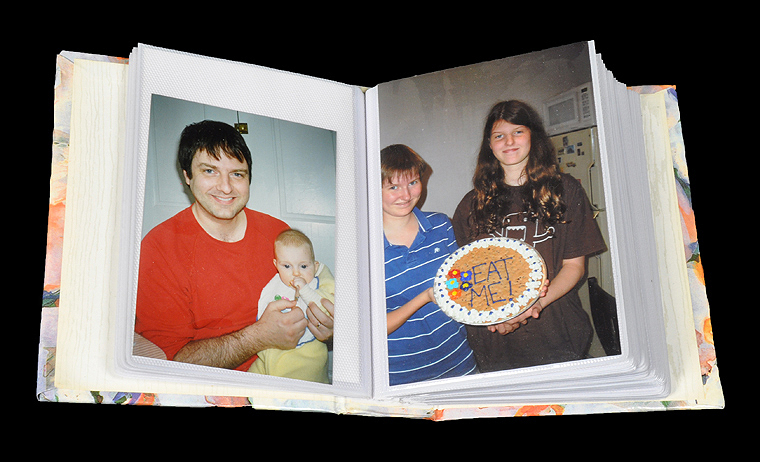 Newer, more recent photo albums have the same effect, as fond memories of touching moments instantly come to mind, as in the famous “Eat Me!” cookie cake my kids and I dreamed up (see above). The long and short of it? 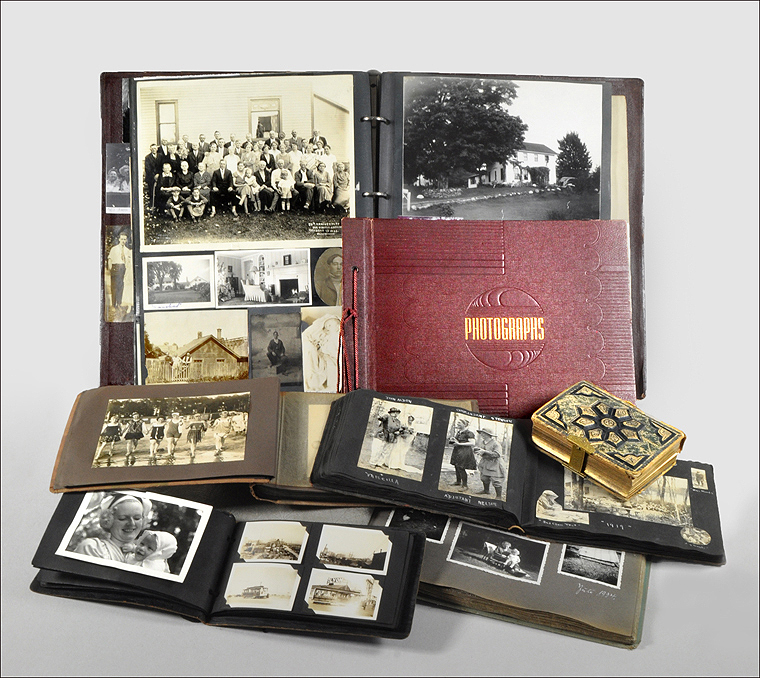 In today’s world of hectic 24/7 rushing, of digital photo files, of cloud-based photo archives, one must—MUST I say—take the time to ensure that the family photo albums of today and yesteryear, of our parents and grandparents and even our great-grandparents, remain intact and accessible for both the current generation and those yet to come. So, here’s how I’m gonna do that. My paternal grandfather’s family photo albums, conveniently dated on the spines (1911-1940s), ready to be looked through / appreciated / wondered over / laughed at (just what WERE they thinking with those old-school 1920s era swimsuits???). 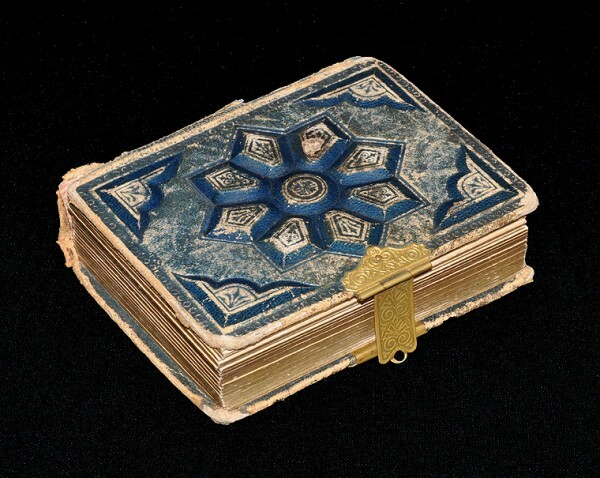 Before I begin preserving my own family’s photo albums—a simple affair, really—I want to take a moment and look a just a very small sample of the zillions of different styles and formats of antique albums that exist, as you might have one of these in your own collection or family archive. I actually collect old snapshots and family photo albums for use in elaborate art projects, so a few examples and explanations from my collection is possible. While I’m glad I have access to these albums, just WHY such priceless family records were abandoned to antique stores or eBay (or curbside trash piles) I haven’t a clue. It’s tragic, actually. Anyway…. A few of the zillions of styles of family photo albums. While most albums from the past are usually horizontally-oriented rectangles, many are not. 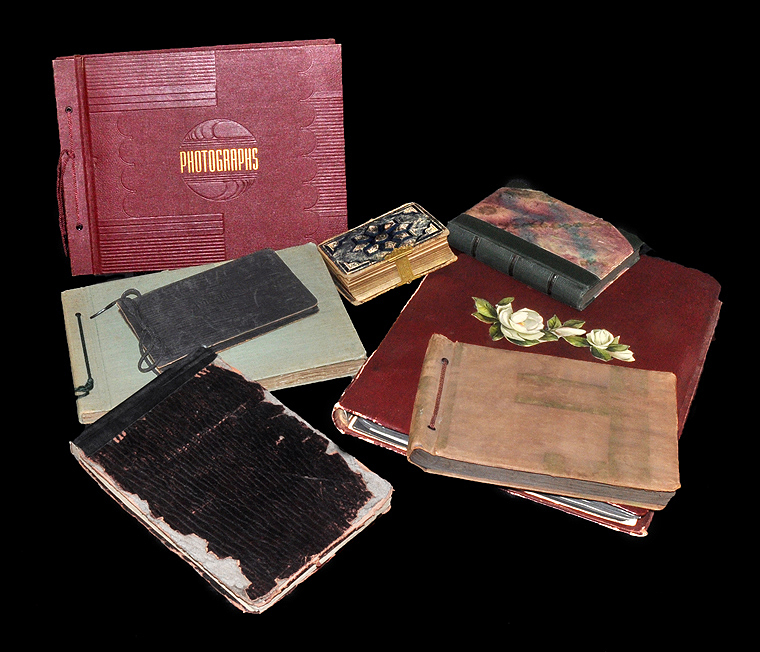 Some more closely resemble scrap books, while others are as steampunk as they come. Why such artifacts, so lovingly assembled over so many years, were abandoned by their original owners and families is a mystery. I found the large scrapbook/album in the far back of the above pix, illustrated with hundreds and hundreds of identified family photographs, in a pile of trash out by the curb someplace. Don’t let this happen to YOU! An old photo album from 1920s-1930s Germany. Note the interleaving sheet with a cool “spider web” pattern seperating each page in the pix above (it’s curved over to make it more visible, and was of course straightened out again before I closed the album). This was done for both aesthetic reasons and to keep the photographs from abrading via contact with each other. This is usually not a problem, so there is no need for me to add new, contemporary acid-free interleaving tissue between the pages of my own family’s photo albums. You don’t either. If it ain’t broke, don’t fix it. These swimsuits are comin’ back, folks. How do I get invited to THIS party??? 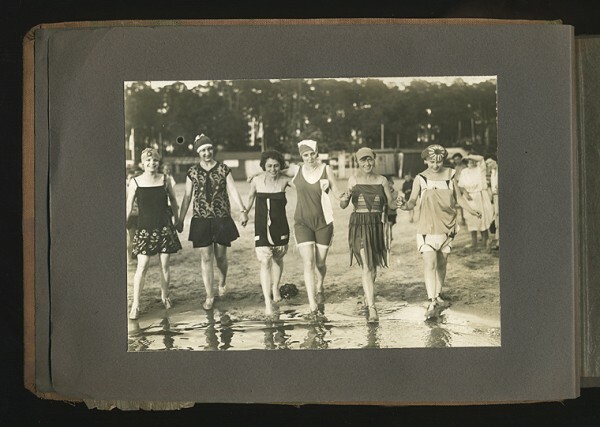 The swimsuits in these two large photographs from the abandoned German family album pictured above? They’re comin’ back, folks. So stylish and flattering. Yet not only do these photographs serve to illustrate the cultural aesthetic of the “Roaring Twenties” (the 1920s, click here for more info) and early-1930s, they also help to date the entire album, as it otherwise carries no hand-written dates or any other form of identification. These are the second and third photographs in the album, and the last images in the back of the same album are clearly mid-1930s. 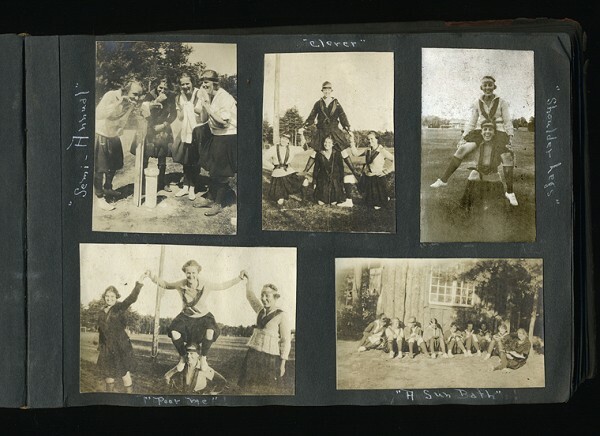 In describing the images from the open album above I had mentioned that they were from Germany from the late-1920s through mid-1930s (ascertained from other information in the photographs themselves rather than from non-existant captions). 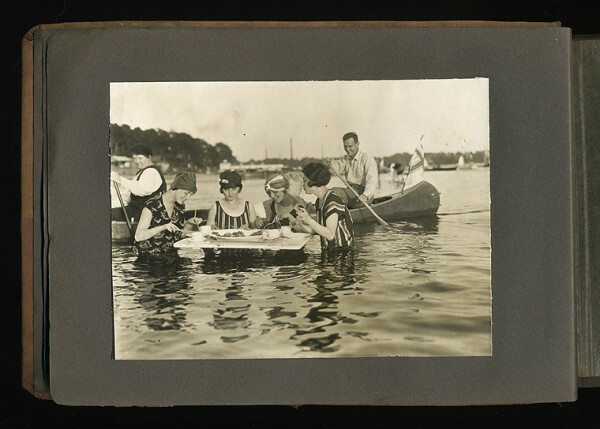 By putting two-and-two together one quickly realizes that these care-free frolics were happening just as the storm clouds of Nazi Germany and the Second World War were gathering to eventually wash this era away forever – EXCEPT IN PHOTOGRAPHS. Frivolous moments of dopey swimsuits? Actually, with hindsight, these photographs show a poignant innocence before the entire world changed forever, especially for the German women in these photographs, their kids, their brothers, sisters, fathers, mothers, grandparents, uncles, aunts, boyfriends, girlfriends, neighbors, families, the Jews, the Poles, the Russians, the French, the Italians, the American GIs, the wives and kids left behind, and the whole rest of the world, actually. This gives new meaning to these photographs, and makes it even more important to archivally preserve them. OK, on a happier note(!!! 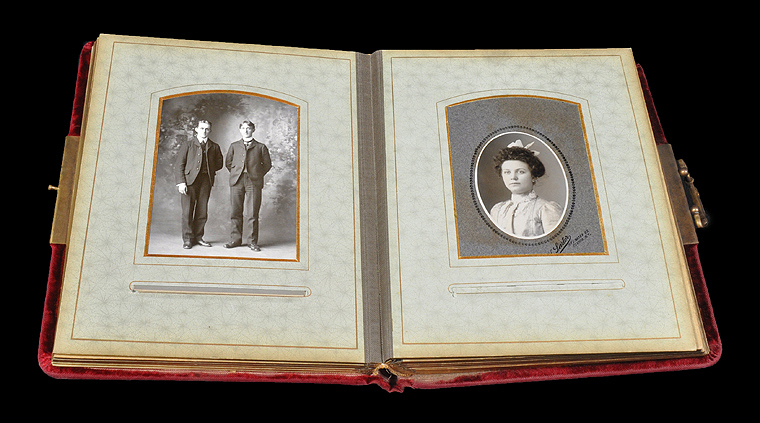 ), here is a page from an American family photo album from the 1910-1920s. I can tell by the clothes cuz I’m such a highfalutin’ expert (actually, its dated elsewhere in the album). Ever notice how EVERYONE has family photo album images just like these? This was the “vernacular” of collective photographic vision, but more on that later. 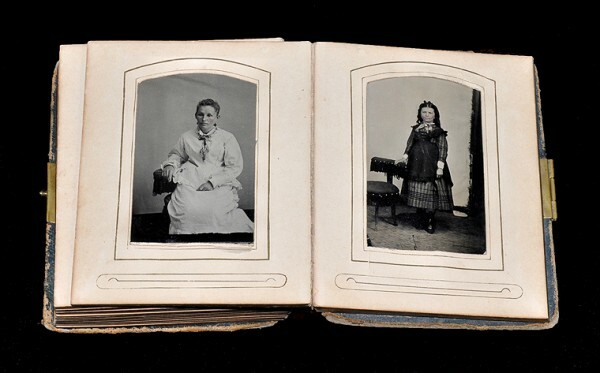 A small album for tintypes and cartes-de-visite, two popular forms of professional photographic portraiture from the second half of the 19th century. The same album, from the back. Its a shame that the spine is so trashed, but PERFECTLY okay. Now, how can I say that? See below. Two nicely made, well preserved tintype portraits, c.1870, from the album above. Please click here for more information on identifying tintype photographs. 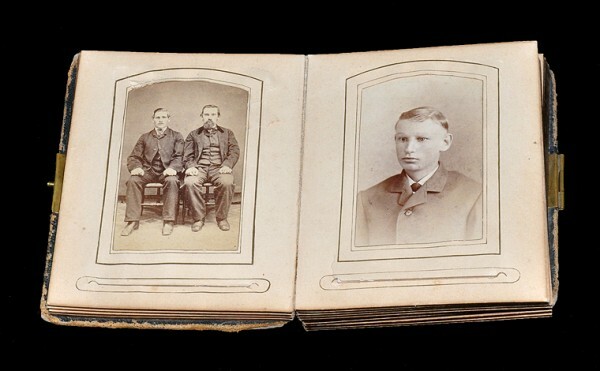 Likewise, two well-preserved albumen print cartes-de-visite portraits, c.1880, from the same album. 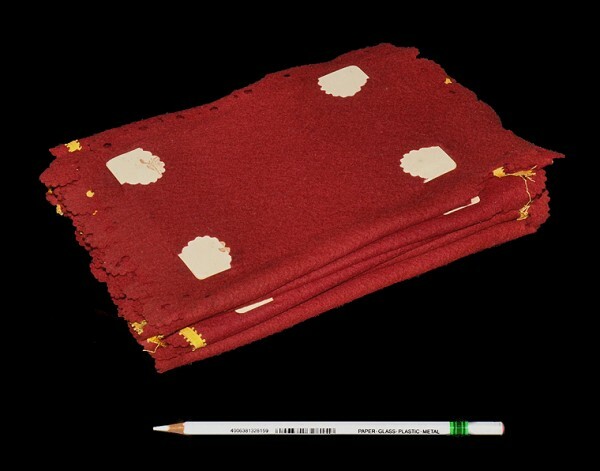 Please click here for more information on identifying albumen prints and cartes-de-visite photographs. Not to go too far off track, one of my daughters was driving to her college class one morning in January of 2015 in a new (to her) used minivan she had gotten four weeks earlier. One moment everything was cool, the next moment she was in an accident that totaled her car (no texting or distracted driver stuff on anyone’s behalf, it just happened). 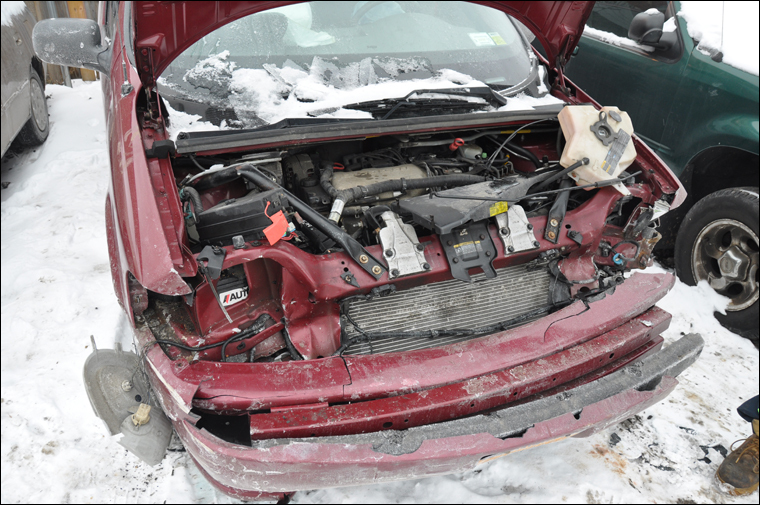 Now, the truly important part of this story is that EVERYONE WALKED AWAY FROM IT UNSCATHED. The car, as mentioned, was totaled, but my daughter was fine (and in an odd confluence of physics and relative positioning the other guy had practically no damage to his van and was similarly unscathed). Now, why am I bringing this up? Well, just as my daughter’s car was totaled and yet she was perfectly fine, the album pictured above took the brunt of whatever mishandling happened to this family artifact while the photographs inside remained perfectly preserved. Sure, it would be wonderful if the album itself were still in great condition, but it did its job in protecting the really important stuff—the photographs within. It would have been nice if my daughter’s car had survived in good shape (or even repairable, which it wasn’t), but it did its job in protecting her, so at the end of the day I’m OK with the whole thing, in BOTH instances. 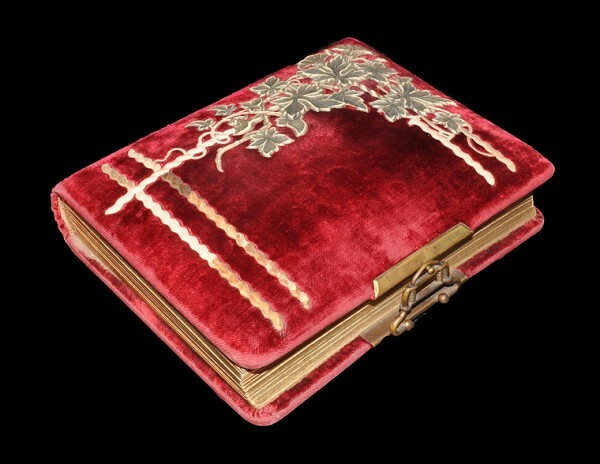 A velvet-covered “cabinet card” family album, c.1885, complete with working spring-loaded brass clasp. I’m not going to polish this clasp, as I don’t want any harmful chemistry on or even near the pages and photos within. There is also something intangibly cool and correct about keeping an original patina intact. Interior of the album pictured above. “Cabinet card” was the name given this popular format of professionally produced photographic portraiture. Weird, huh? I’ve been collecting antique photographs and albums for over 30 years and I’ve never seen anything like this. Holding a total of 12 cabinet cards and measuring six feet long(!) when completely spread out, this felt “photo banner” contains generations of some unknown family’s history. The figure second from the right looks like Nosferatu’s wife. Just sayin’. 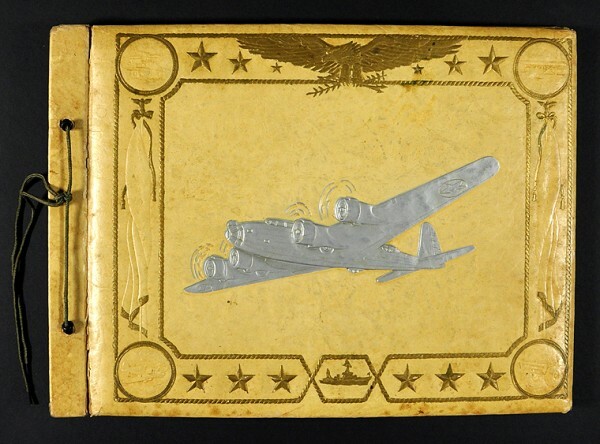 An image of an early model American B17 bomber (early = identified by its tail configuration) adorns the cover of this WWII-era patriotic photo album. Remember what I said about the storm clouds over Germany in reference to the 1930s photo album above? Well, in a weird way this photo album is the flip side of that same coin. One fleeting moment in history, frozen forever in casual German photographs, was eventually blown off the face of the earth during another fleeting moment in history, frozen forever in the form of a photo album cover. 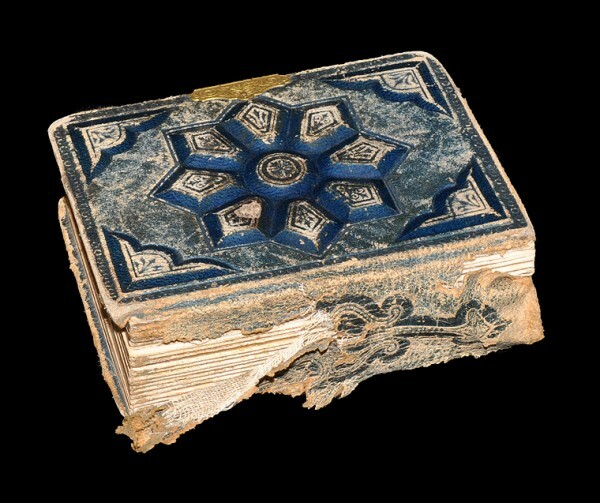 It makes one think, and each artifact is absolutely deserving of the best archival protection because “forever” just won’t happen for these two family artifacts if the correct archival materials and practices are not in place. 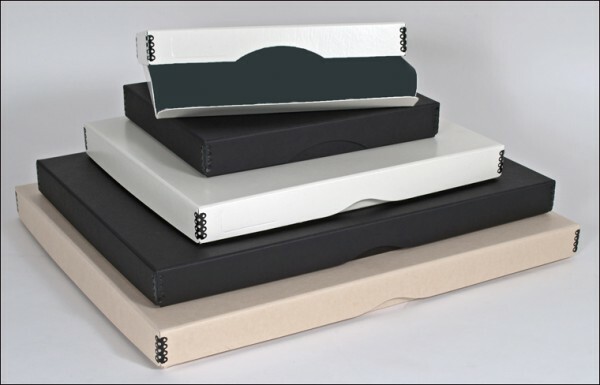 Family photo albums in various formats and conditions, gathered together to be stored correctly. 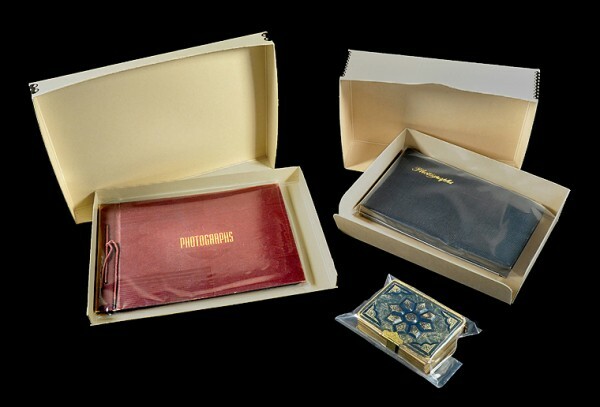 I am planning on two levels of archival protection: each individual album in a safe, archival polyethylene bag, then the whole shebang (actual art history / conservation term, that) in an archival storage box. My goal is to keep dust, moisture and household pollutants away from these priceless heirlooms and artifacts, all the while making them easy to both retrieve and open to look through. 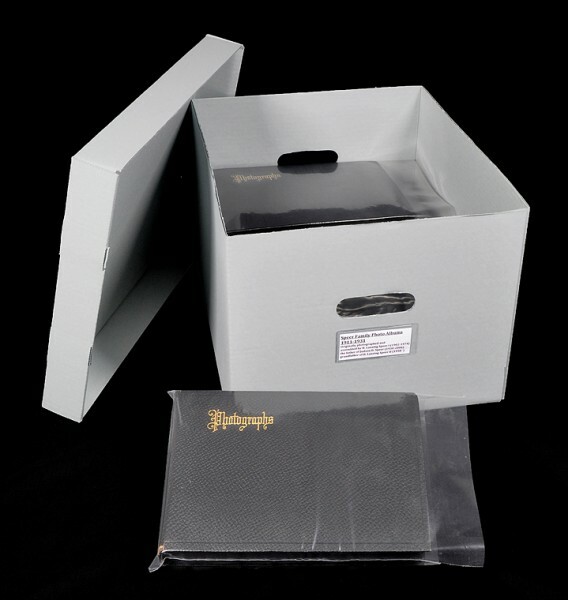 There is no need to bury such albums in layer upon layer of even the finest archival materials, as the whole point is to safely store them while still allowing easy access. Pull one out at Thanksgiving to show to family and friends and you’ll know what I’m talking about. Easy (Yet Important) Hack: Notice that none of the archival bags in these photographs are sealed and/or airtight. This is done on purpose, as family photo albums are made up of all sorts of materials—some good and some not so much. The point is that I want these albums to be able to “breathe” while in storage, rather than being sealed tight. This is a good thing, so you do it too. Added bonus: I won’t have to fight with getting something open, and its easy to put it all back together again to return it to storage when I’m finished. Boom! 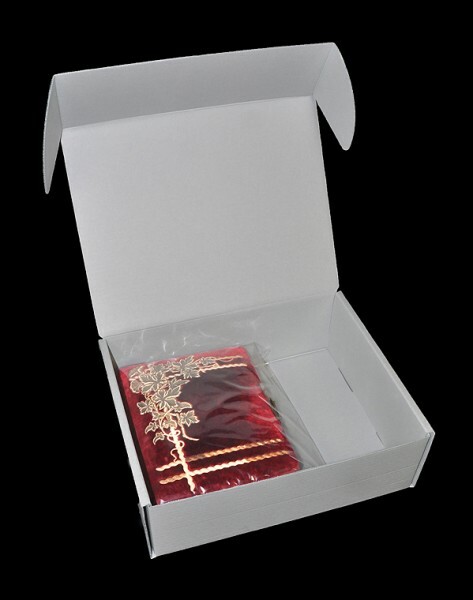 Family photo albums in their individual bags in correctly sized acid-free boxes. 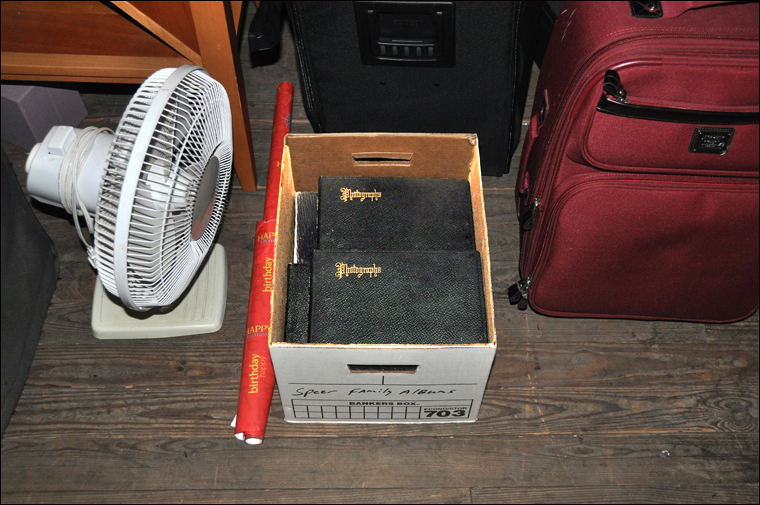 As long as each album is in its own bag I am free to place multiple albums in each archival box. 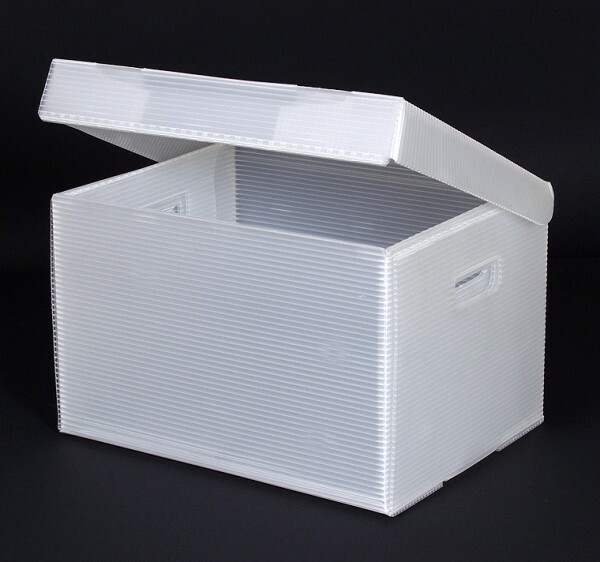 Speaking of archival boxes, they come in a variety of color and sizes to match any decor or individual taste. Gotta love that. If that weren’t enough, each of the high quality metal edge boxes pictured here are made by a team of three people (shout out to Penny, Sharon and Dan) who have a collective 83 years of combined experience in the art / craft / alchemy of making darned good archival boxes – right here in the good ol’ U.S. of A. Just sayin’. 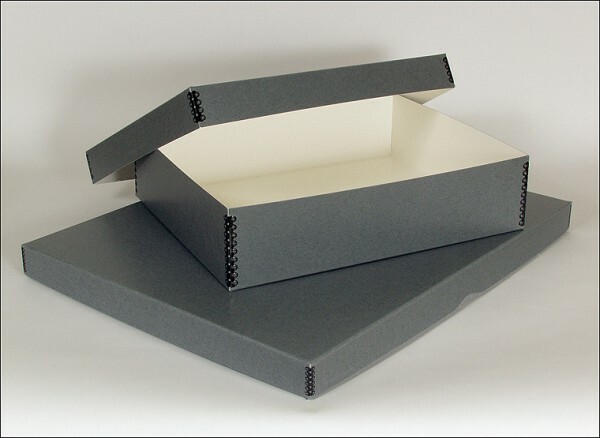 High-quality archival boxes in different depths allow me to custom-fit what I’m trying to correctly store. More styles / sizes / depths, available in four different colors, too. 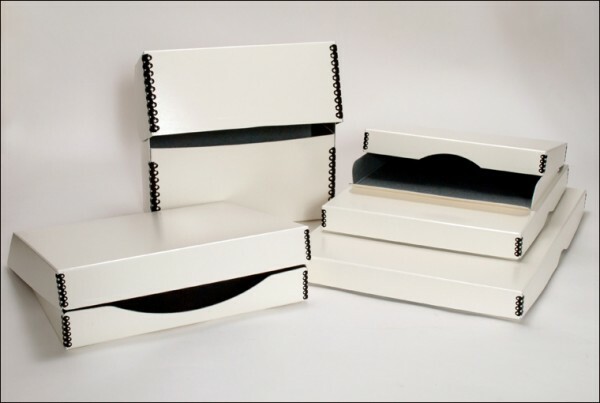 While a number of the boxes pictured above have removable tops that allow them to “telescope” in order to create additional vertical storage space in each box, the velvet album discussed above was thicker than standard flat photo albums, and due to its construction was not suited for compression if I were to stack additional boxes on top of it. 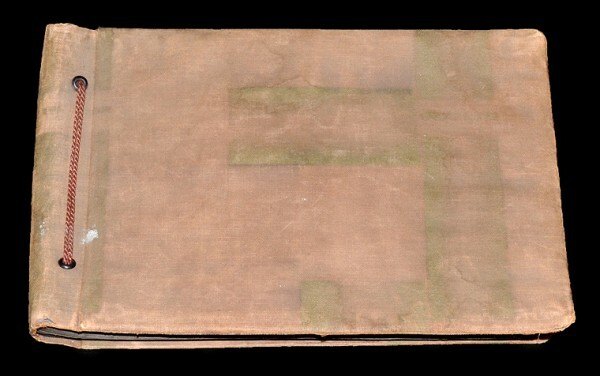 The answer was an archival artifact box (below), which offers extra depth and thus allows this album to rest comfortably and safely without the danger of it getting squished (another sophisticated art history / conservation term), which would damage its cover and spine. 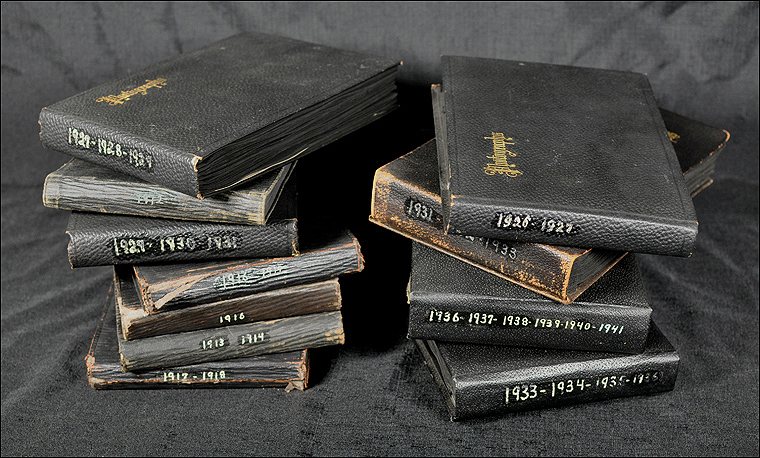 As mentioned earlier, my paternal grandfather’s many photo albums, 1911-1940s. 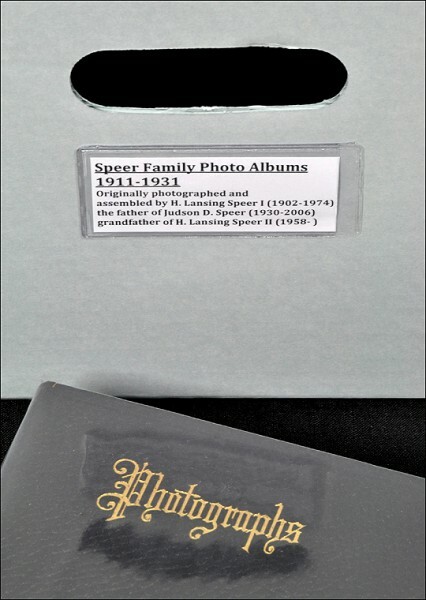 From an earlier blog posting – my family photo albums in the non-archival generic office supply store box that was sitting in my attic for decades. Temperature and humidity fluctuations can damage antique photographs and family heirlooms, so keep them out of attics and basements. 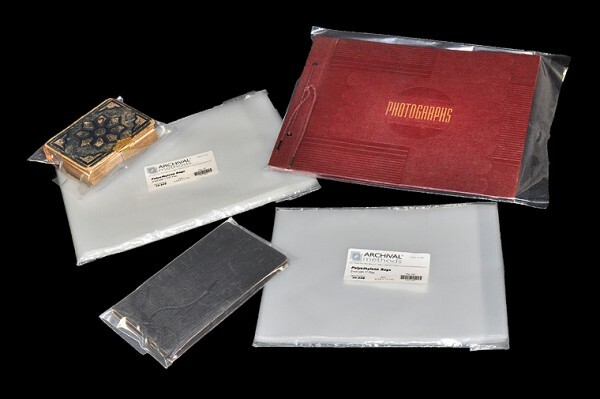 Time Check: Well, the whole process of gathering all my family photo albums together, placing each in its own archival polyethylene bag, placing each album in a variety of different sized acid-free boxes, and typing up and applying labels took only a few hours. You know what took FOREVER though? – looking through many of these old albums cuz they are SO. DAMN. COOL. And that, my friends, is the whole point – to keep my family photo albums safe, accessible, and enjoyable. Those were some of the best few hours I’ve spent in a long time, and future generations will be just as happy I did. So, with my family photo albums sorted and stored the right way, its now time to look at individual snapshots. This is a HUGE field of endeavor, as so many different elements and options come into play. This being the case, I’m going to start by breaking “snapshots” into a few blogs, with the first devoted to sorting and identifying what I’ve (you’ve) got.